With all the mountains in Japan, it's only natural that there would be some ziplining to be had! Even if you live in the big city, there are still a few spots fairly easily accessible from Tokyo in Saitama and Gunma prefectures to the northwest. Climb across rope ladders, zipline from tree to tree and spend your day surrounded by the lush green forest in Chichibu, Saitama. Forest Adventure Chichibu is accessible in about 80 minutes by express train and 20 minutes by bus from Ikebukuro Station in Tokyo. 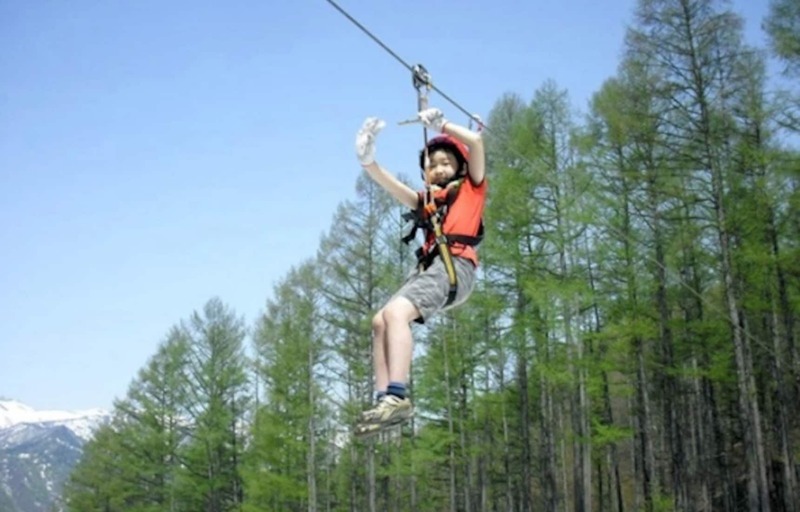 Cut through the trees and soar like a bird as you zip line through the forest of Minakami, Gunma. Enjoy the thrill and feel the wind against you in the 1.2-kilometer (0.7-mi) course at Minakami Kogen Hotel 200, located at Minakami Kogen Ski Resort. It takes almost exactly an hour to get from Ueno Station to Jomokogen Station via bullet train, followed by a 50-minute shuttle bus ride to the hotel (must be requested in advance).